Thomas joined Watsi on July 24th, 2015. 21 other people also joined Watsi on that day! Thomas' most recent donation supported Heang, a woman from Cambodia, to fund cataract surgery. Thomas has funded healthcare for 35 patients in 10 countries. Heang is a rubber farmer from Cambodia. She has two daughters, two sons, and three grandchildren. She likes to listen to the news. 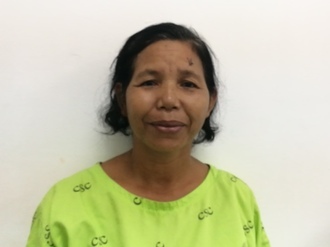 Four months ago, Heang developed a cataract in each eye, causing her blurry vision, photophobia, tearing, and pain. She has difficulty seeing things clearly, recognizing faces, and going anywhere outside. When Heang learned about our medical partner, Children's Surgical Centre, she traveled for five hours seeking treatment. On December 7, doctors will perform a phacoemulsification surgery and an intraocular lens implant in each eye. After recovery, she will be able to see clearly. Now, she needs help to fund this $398 procedure. Her sister says, "I worry that my sister can't see and I hope she feels better after the operation." Maung is a 46-year-old man who lives with his wife, two daughters, and two sons in Ka Yin Village, Kawkareik Township, Karen State, Burma. Three of his children are studying at a village school, while the youngest son stays at home since he is only two years old. Maung's wife is the sole earner for the entire family. In his free time, Maung likes to do meditation and is involved in community works in his village. 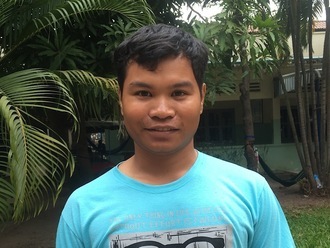 In 2016, Maung started to experience back pain and lower abdominal pain. His condition worsened in August 2018. He later went to the hospital, where he had an x-ray, ultrasound, and blood tests done. When the results came back, the doctor told him that he has a stone in his bladder. Now, Maung is scheduled to undergo surgery to remove the bladder stone on August 28. He needs help raising $1,500 to fund this procedure. He plans to work again once he recovered. “We will work hard to save money. We will buy a house for our family,” says Maung’s wife. Blessing is a young boy from Kenya. He is the youngest in his family. His mother looks after the children while his father works as a real estate agent. For two years, Blessing has been experiencing hearing loss. He is not able to speak. Fortunately, his audiologist believes that hearing aids will help. Blessing is scheduled to receive the hearing aids on August 2. Now, his family needs help raising $929 to pay for them. Blessing’s mother says, “I will be grateful to see him develop." Pree is a seven-year-old boy who lives with his parents and grandmother in Thailand. His family is originally from Bago Division, Burma. His parents work in a factory in Mae Sot. When Pree was three years old, his grandmother noticed that he was very pale and that his stomach was swollen. He visited several hospitals and received medications and blood transfusions, but his symptoms did not improve. Finally, he was referred to our medical partner's care center, Mae Sot Hospital. Currently, Pree feels very tired and does not have an appetite. He has missed many months of school due to his illness. He has been diagnosed with thalassemia and needs to undergo a splenectomy, which is scheduled for July 9 and will cost $1,500. 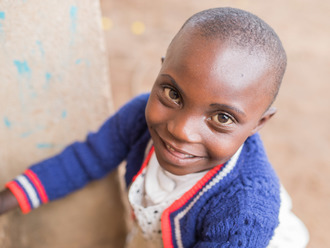 “When I grow up I want to be a doctor, so I can take care for my mother," he says. Maulana is a farmer from Malawi. He lives with his wife, and together with their grown children they run a small farm. Due to his condition, Maulana isn’t able to actively farm, so he works fetching wood. In his free time, he and his family enjoy attending their local mosque. Since May 2018, Maulana has been experiencing pain and urinary difficulty. These symptoms are caused by an enlarged prostate, a condition called benign prostatic hyperplasia. He needs to undergo a prostate resection surgery, a procedure in which surgeons will remove part of the enlarged gland. Our medical partner, World Altering Medicine, is requesting $733 to fund Maulana's surgery. 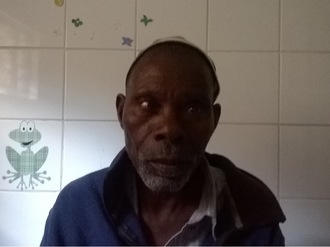 On June 14, he will undergo prostate surgery at Nkhoma Hospital, our medical partner's care center. The requested money pays for supplies, medications, and two weeks of hospital stay. Maulana and his family were thrilled to learn his surgery would be funded, and he is looking forward to again being active and able to farm his land. He says, "Thank you!" Margaret is a farmer from Kenya. She is 56 years old and a mother of six. She plants maize and beans for domestic use. Margaret lost her husband in 1992. Two weeks ago, Margaret tripped and fractured her left hand. She has currently lost function of her hand and cannot perform routine tasks. Fortunately, surgeons at our medical partner can help. On April 19, Margaret will undergo a fracture repair procedure, called an open reduction and internal fixation. We hope that with treatment, Margaret will be able to return home and work normally. Now, our medical partner, African Mission Healthcare Foundation, is requesting $771 to fund this procedure. Htar is an eight-year-old girl who has a blood disorder called thalassemia. Due to her poor health, she has had to drop out of school. She lives with her parents, an older brother, and a younger sister in Hpa-An, Karen State, Burma. Her parents and oldest brother work as subsistence farmers on their rice field, while her sister goes to school. Up until she was six years old, Htar did not show any symptoms of having thalassemia. Gradually, she grew pale, was constantly tired, and developed a stomachache. When her mother noticed her symptoms, she brought her to a clinic in Hpa-An, where she was given blood transfusions twice a month without any explanation about her diagnosis. Htar mother finally took Htar to Mae Tao Clinic, our medical partner's care center, where she was referred to Mae Sot Hospital and the doctor informed the family that Htar would require surgery for her condition. If not, she might need blood transfusions very often, and her condition would not improve. She is scheduled to undergo a splenectomy on February 23 at our medical partner's care center. Now, the family needs help raising $1,500 to pay for surgery. Lin is construction worker from Cambodia. He likes watching movies and playing games on his phone. Five years ago, Lin fell at his house and has been experiencing pain ever since. Due to a recurrent hip dislocation, he has difficulty walking and working. Fortunately, Lin learned about our medical partner, Children's Surgical Centre. At CSC, surgeons can perform a total hip replacement to relieve Lin of his pain and allow him to walk easily. Treatment is scheduled for January 17, and Lin needs help raising $1,025 to pay for this procedure. After recovery, he hopes he can return to work. Solijala is a farmer from Malawi. He lives with his wife and extended family. Solijala also raises goats. In his free time, he likes to listen to the radio. Since August of 2017, Solijala has been experiencing pain and difficulty urinating. These symptoms are caused by an enlarged prostate, a condition called benign prostatic hyperplasia. He needs to undergo a prostate resection surgery, a procedure in which surgeons will remove part of the enlarged gland. Our medical partner, World Altering Medicine, is requesting $733 to fund Solijala's surgery. 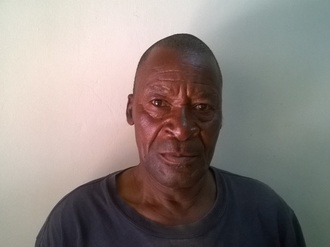 On September 19, he will undergo prostate surgery at Nkhoma Hospital, our medical partner's care center. The requested money pays for supplies, medications, and two weeks of hospital stay. Solijala is very happy to be receiving care. He says, "Thank you for the support."